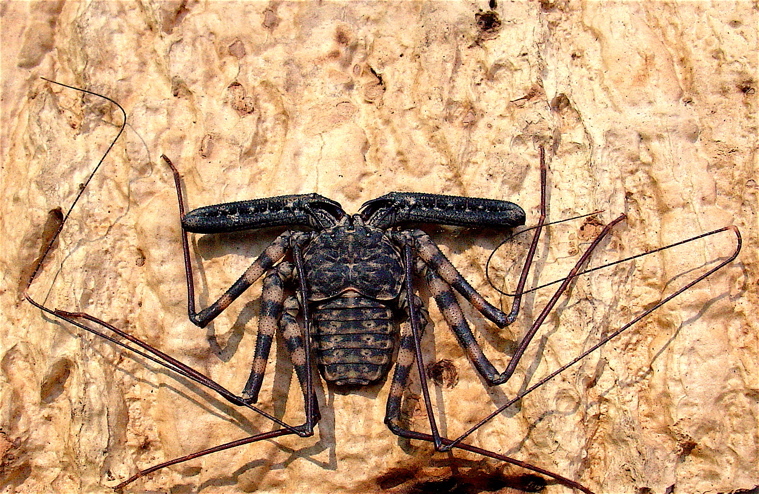 This animal, as you can see, is called a cave spider. 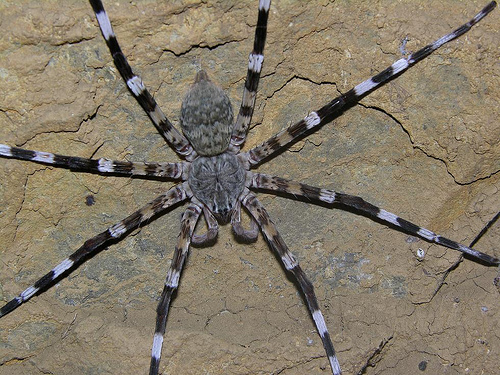 The adult cave spider is photophobic, meaning it doesn’t like light and searches for caves, tunnels, and dark holes. In complete contrast, the baby cave spiders are attracted to light. This is thought to allow the species to spread beyond the home cave. 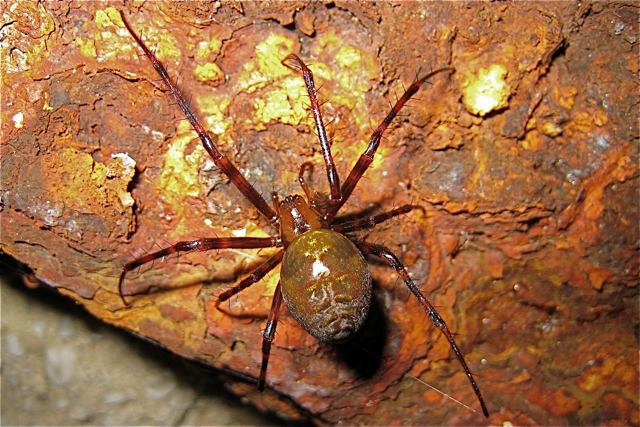 Cave spider prey on smaller invertebrates, especially slugs. They possess venom, but it isn’t strong. This, coupled with their lack of aggression, has landed them the tag of “gentle giants”.